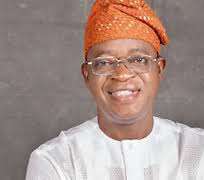 The Chairman of the Committee on Forestry, Prof. Bayonle Olorede, stated this during the presentation of the panel’s report to Governor Adegboyega Oyetola on Tuesday in Osogbo, the state capital. Olorede said the Committee blocked some areas of leakage which led to the increased revenue for the government. He said the Committee came up with 17 recommendations which if implemented, would assist the state to actualize its set objectives in the forestry sub sector. Describing forestry as a critical revenue generation sector, Prof Olorede, commended the Oyetola's administration for working assiduously to improve the revenue base of the state. He said: "We are happy to inform the governor that the state revenue on forestry had increased with over 100 per cent. "The revenue rose from N10million‎ to N22.5million between January 2019 and March 2019, showing a tremendous improvement in the revenue base of the state compared to what was recorded in 2018. "Two out of the seventeen recommendations in the report are very important to the quest to sanitize and improve on the revenue potential in the sector", he added. He said the Committee was inaugurated to sanitize the sector; block leakages and promote efficiency and accountability.